Project Details: Energy Innovators is an energy management firm that uses proprietary technologies to reduce their client’s energy costs by as much as 15 percent annually. 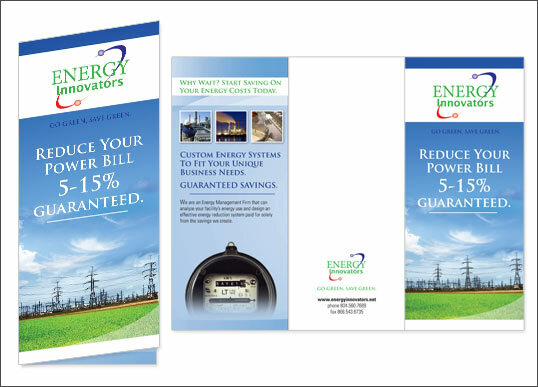 We worked with them to develop their tagline “Go Green, Save Green” as well as designing them a tri-fold brochure explaining the services and benefits that they offer. 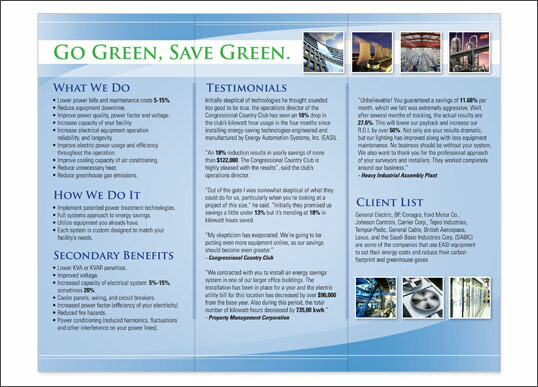 We developed a brochure that was clean, efficient and clearly communicated their “green” savings message.